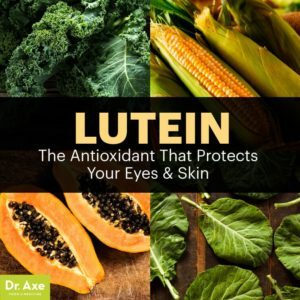 IN THE NEWS: Lutein — An Important Nutrient for Eye and Brain Health Lutein is well-known for its vision-enhancing properties. It helps stave off age-related eye diseases such as cataracts and macular degeneration, which is the No. 1 cause of blindness among the elderly. Lutein may also play an important role in brain health and may help prevent cognitive decline. Those with higher levels of lutein in middle-age had more youthful neural responses than those with lower levels. Eating plenty of dark leafy greens, rich in carotenoids like lutein, can go a long way toward maintaining healthy vision and keeping cognitively fit into old age. Lutein, which you have to get from your diet as your body cannot manufacture it, is well-known for its vision-enhancing properties. Along with zeaxanthin, it’s found in high concentrations in your macular pigment and macula lutea,1the small central part of your retina responsible for detailed central vision. Other nutrients that are important for brain health and cognition include animal-based omega-3 fats, vitamin D, and B vitamins. Good food sources for these, and lutein are included. WELLNESS: What Are the Health Benefits of (Chokeberries)? 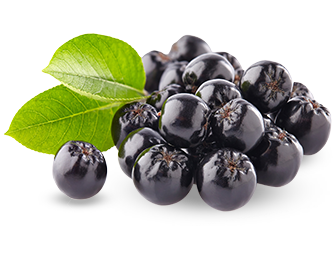 Native to North America, Aronia berries had a long history of helping to keep Native American tribes alive for centuries due to the berries’ abundance and powerful nutritional properties. “(The) fruits (have) relatively thick, pigmented skin in pendulous clusters. Red berries are sweeter than black varieties, while the latter is slightly bitter in taste. However, black and blue color berries are rather rich sources [of the] anthocyanin class of pigment antioxidants.” Fiber is one of their greatest contributions to health because it helps slough old food particles from your colon as they move through, effectively serving as a cancer-protective agent. 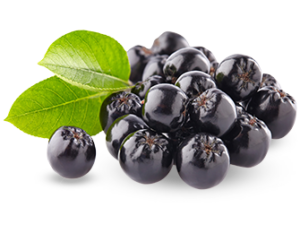 Aronia berries are rich in antioxidant polyphenols, part of the significance of antioxidants is their ability to protect your body’s cells from the damaging effects of oxidation. Clinical studies indicate that eating berries, including Aronia berries, on a regular basis helps fight neurological diseases, cancer, aging, inflammation, diabetes and bacterial infections. CHIROPRACTIC: Chiropractic and Leg Length Because the spinal cord is housed by the spine and the exiting nerve roots communicate with the autonomic nerves that basically run our organ function, maintaining alignment of the spine and pelvis is very important to minimize nerve irritation and subsequent health-related problems. The focus of this article is on leg length, its effect on our posture, methods of assessment, and treatment. Leg length plays an important role in posture. When there is a difference in leg length, the pelvis cannot maintain a level position, and because the spine’s base is the pelvis, it cannot stay straight if there is a leg length discrepancy. Doctors of all disciplines realize the importance of leg length, especially orthopedic surgeons as they consider a hip or knee replacement! There are many causes of leg length issues, and some include a genetic predisposition (inherited) or trauma during bone growth years. From a treatment standpoint, a heel lift (with or without arch supports) can be placed into the shoe on the short leg side. At 12mm (0.5”), problems with the heel lift being pushed out of the shoe and/or sliding forwards in the shoe may prohibit the use of these thicker lifts after which point the bottom of the shoe can be built up by a shoe cobbler (some services can be found online as well). When you have a long-term migraine, it’s about much more than a headache. You may feel sick to your stomach and find it hard to handle light, sounds, and smells. For some folks, though, it doesn’t stop there. They also get something called an aura. Most often, an aura causes you to see strange things, like colored spots or flashing lights. It can be pretty scary, especially the first time it happens. Migraines without auras are much more common than any other kind. You can get them as often as several times a week or as little as once a year. 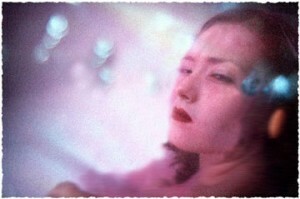 Auras show up in about 1 in 3 people with a migraine, but you’re not likely to get them every time. So it’s possible you might have both types of migraine, with auras happening here and there. The difference is whether or not you get an aura. When you do, it typically sets in slowly over 5 to 20 minutes. It may last up to an hour. It often acts as a warning sign, coming on before any pain shows up. But it can happen during a migraine as well. But these may also be symptoms of a stroke. If you have any of them, and your doctor has not already told you that they are a part of your migraine, call 911. Sometimes you can get an aura without any other symptoms. That’s called a silent migraine. It’s more common in people 50 and older. 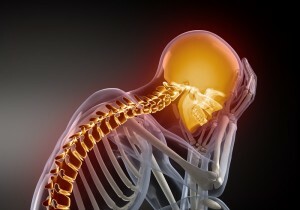 Chiropractic adjustments alone can correct most types of headaches. 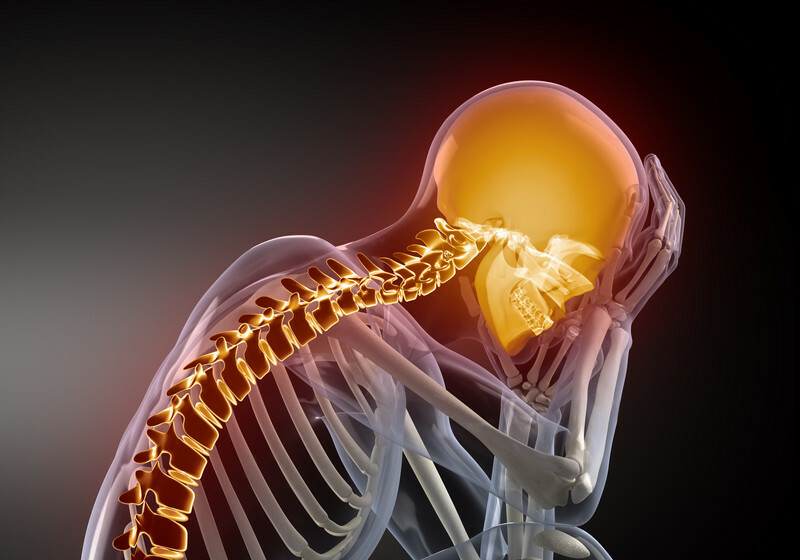 Migraines present certain challenges because there can be many factors. A number of factors may trigger migraines, including Hormonal changes in women. 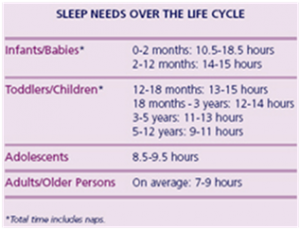 Hormonal medications, Foods, Food additives, Drinks, Stress, Sensory stimuli, Changes in the wake-sleep pattern, Physical factors, Changes in the environment, and Medications. 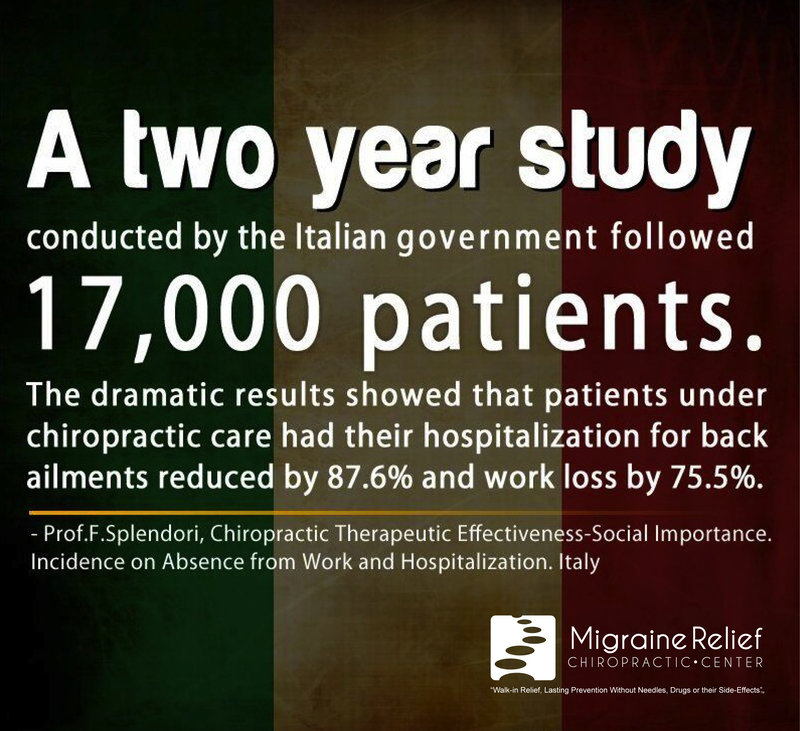 So knowing what factors trigger migraines can help in the solution. Besides chiropractic adjustments, you should work in getting the amount of fluid you need to help your body detox. Most adults need between 7 or 8 hours of sleep each night. Exercise can help reduce the effects of stress. 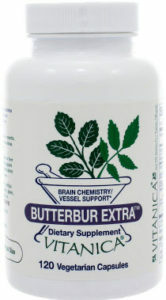 Butterbur Extra is a supplement we would recommend. It contains key nutrients and herbs that can help correct the nutritional causes of migraines. 2 to 3 per day as part of an overall program would be an excellent way to control your migraines naturally. All pharmaceutical pain pills are dangerous, even ibuprofen and Tylenol. Step up your health game by adding these nutrient-dense foods to your diet. Even if you go out of your way to eat a balanced diet, there may be some important vitamins and minerals that are slipping through the cracksand because not all vitamin deficiencies cause symptoms, you might not even know it. This can happen for a couple of reasons: Either the vitamin or mineral in question is only found in a few foods (that you dont typically eat), or its a nutrient thats not easily absorbed by the body (say, because of health issues, medications, or age), says Suzanne Dixon, RD, registered dietitian with The Mesothelioma Center in Portland, Oregon. With so many vitamins and minerals to check off in a day, it can be difficult to gauge which ones we need to work on mostbut there are several that are more difficult to get enough of compared to others, say experts. Heres how to pull it off. Vitamin D is crucial for our energy, bones, and immune system, but difficult to get enough of from foods alone, says Leah Kleinschrodt, RD, registered dietitian with Nutritional Weight & Wellness in St. Paul, Minnesota. Although our best source is exposure of bare skin to direct sunlight (sans sunscreen), this strategy can be just as tricky depending on where you liveplus, who wants to put themselves at risk for skin cancer? Add to that the uptick in people making the switch to plant-based milk, not all of which are well fortified with vitamin D, says Dixon. We also dont know how well absorbed vitamin D is from these sources, she adds. 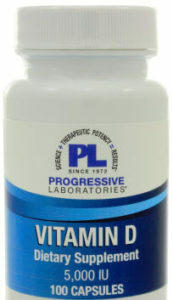 To get enough: The average adult should try and score 600IU (international units) of vitamin D per day, according to the National Institutes of Health(NIH). Some of the top food sources of vitamin D are cod liver oil (1360IU per 1 tablespoon), swordfish (566IU per 3 ounces), cooked sockeye salmon (477IU), tuna canned in water (154IU), and fortified orange juice (137IU per 1 cup, though every brand is different). Most dairy products are fortified with vitamin D, as are some mushrooms (theyll be labeled as such). If youre not into dairy, make sure your plant-based replacements are vitamin D fortifiedand of course, taking a supplement can help fill in the gaps, says Dixon. Omega-3s can help reduce inflammation and keep your heart and blood vessels healthy, says Kleinschrodt. 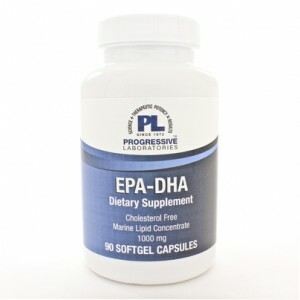 What can make getting enough omega-3s tricky is that there are three different typesALA, EPA, and DHAand experts have only established recommended amounts for ALA, according to the NIH. Odds are, unless youre eating fatty fish and pasture-raised eggs every day, youre likely not consuming enough fatty acids to have a therapeutic effect, says Kleinschrodt. 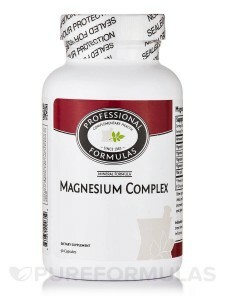 When it comes to minerals, magnesium is a pretty big deal: Magnesium is involved in over 300 metabolic reactions in our bodyit can help reduce anxiety and blood pressure, regulate heart rhythm, and steady blood sugar, among others, says Kleinschrodt. Its predominantly found in a variety of plant-based foods, grains, nuts, and seeds, so those people whose diets are lacking in these areas can easily end up with a magnesium deficiency. Vitamin K is super-important for blood clotting and healthy bones, and also plays a role in a variety of physiological functions, according to the NIH. Although full-on vitamin K deficiencies are rare, its possible to not get enough for good health and not know ityour intake might be low, but not low enough to be considered a deficiency, says Dixon. Its found in high amounts in only a few foodsmainly, leafy greens and spicesand many people dont eat enough of these foods regularly, says Dixon. 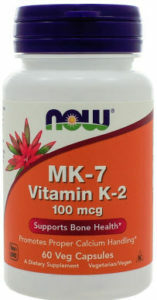 To top it off, many multivitamins contain very little vitamin K, and most foods arent vitamin K fortified either. 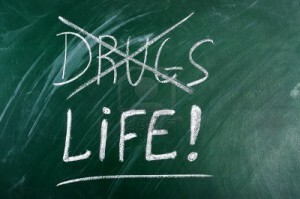 To get enough: Its recommended that men get 120mcg and women 90mcg of vitamin K on the regular, according to the NIH. To do that, all you have to do is become one with leafy greens. Think: boiled collards (530mcg per 1/2 cup), turnip greens (426mcg), and broccoli (110mcg), raw spinach (145mcg per 1 cup) and kale (130mcg). Another tip: Make sure you have some fat with your greens, such as an oil-based dressing with your salad, which helps with vitamin K absorption, suggests Dixon. The body needs iodine to make thyroid hormones, which control the bodys metabolism, according to the NIH. Because iodized salt can have a metallic taste to it that many people dont like, its understandable that many of us turn to sea salts and other salt options, says Dixon. But unfortunately, these dont provide much iodine. Plus, its only found in high quantities in a few food items that might not be in everyones dietprimarily, seaweed and dairy products (thanks to dairy processing equipment being washed and sterilized with iodine-based solutions). To get enough: The NIH recommends that adults strive for 150mcg of iodine daily, so consider using iodized salt more often if you dont mind the taste (1/4 tsp provides roughly 71mcg of iodine). Also try adding more cod to your menu, which offers 99mcg of iodine per 3 ounces. And when it doubt, theres always dairy: low-fat plain yogurt (75mcg per cup), reduced fat milk (56mcg), even chocolate ice cream (30mcg per 1/2 cup) can all be enjoyed to improve your iodine levels. If dairys not your thing, trying a variety of seaweeds until you find a few that you like is another option: 1g of seaweed can contain anywhere from 16 to a whopping 2,984mcg of iodine. Vitamin B12 keeps our nerve and blood cells healthybut because you need stomach acid to absorb the vitamin and our production of stomach acid declines as we age, getting enough B12 can be a challenge. You may also come up short if you regularly take medications to treat chronic heartburn, such as proton pump inhibitors (PPIs). To date, the biggest issues with vitamin B12 deficiency are linked to PPIs, says Dixon. To get enough: The best food sources of vitamin B12 are foods of animal origin. Theres no B12 in plants, so vegans must take a supplement, says Dixon. To hit the recommended 2.4 mcg of vitamin B12 per day, top eats include cooked clams (84.1mcg per 3 ounces) and wild rainbow trout (5.4mcg), tuna canned in water (2.5mcg), as well as dairy products like Swiss cheese (1.7mcg per 1.5 ounces), and milk (upwards of 1.4mcg per 1 cup). Also keep your eyes peeled for breakfast cereals that are fortified with B12some may contain as much as 6mcg per serving. IN THE NEWS: Magnesium preventing cancer Pancreatic cancer – which claims roughly 49,000 lives every year in the United States – is notoriously difficult to detect and treat, conventionally speaking. Sadly, rates of this lethal cancer have been rising steadily over the past ten years, and the National Cancer Society predicts that there will be over 55,000 new cases diagnosed in 2018 alone. Yet, we know based on published research, that magnesium deficiency can play a role in the development of this dreadful disease. 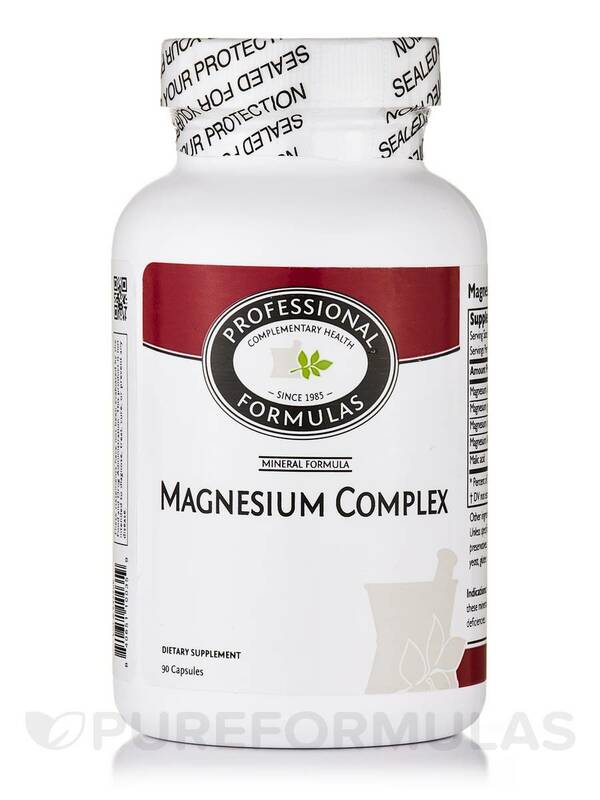 Fact: magnesium deficiency is common in the United States – with the World Health Organization reporting that less than 60 percent of the American adult population ingests enough of this life-sustaining essential mineral. Let’s take a closer look at some of the ways in which magnesium intake impacts your health – and some methods for increasing levels. Scientists found that magnesium levels were associated with pancreatic cancer risk, with the odds of the disease rising by 24 percent for every 100 mg decrease in daily magnesium intake. And, if intakes dropped to less than 75 percent of the recommended daily amount – established by the Institute of Medicine as 420 mg a day for men and 320 mg a day for women – the risk of pancreatic cancer rose by a stunning 76 percent. WELLNESS: Honey is a blend of sugar, trace enzymes, minerals, vitamins, and amino acids that has antibacterial, anti-fungal, and antioxidant properties. Honey works as well as dextromethorphan, a common ingredient in over-the-counter cough medications, to soothe cough and related sleeping difficulties. 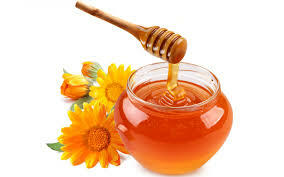 Unprocessed honey can help treat skin infections, helps wounds heal, and improves dandruff and itchy scalp. It takes about 60,000 bees, collectively traveling up to 55,000 miles and visiting more than 2 million flowers, to gather enough nectar to make one pound of honey. Choose raw, unfiltered honey for medicinal properties; most honey on the market is highly processed and may even contain additives like corn syrup. Manuka honey is produced in New Zealand by bees that pollinate the native manuka bush. Advocates say it treats wound infections and other conditions. Components of Manuka Honey Hydrogen peroxide is produced by honey. It gives most honey its antibiotic quality. But some types of honey, including manuka honey, also have other components with antibacterial qualities. Another antibacterial component in manuka honey is methylglyoxal (MG). MG is a compound found in most types of honey, but usually only in small quantities. In manuka honey, MG comes from the conversion of another compound — dihydroxyacetone — that is found in the nectar of manuka flowers. MG is thought to give manuka honey some of its antibacterial power. The higher the concentration of MG, the possibly stronger the antibiotic effect. But, there may also be other compounds involved in the medicinal effect of manuka honey. a. In this review of the literature, the authors note that exercise is often one of the things commonly recommended to patients in an effort to prevent and manage osteoporosis. Physical activity can have a beneficial effect on bone mass and perhaps on bone structure. As in many articles, the results are complex and at times not straightforward. But overall the higher intensity exercises seem to be the most important for those seeking to retain their bone mass. I often opine on the geometry of spines and I predict that we will be hearing about more than just the bone mass in the future. Reference:Harding AT, Beck BR. Exercise, Osteoporosis, and Bone Geometry. Sports (Basel). 2017 May 12;5(2). pii: E29. doi: 10.3390/sports5020029. 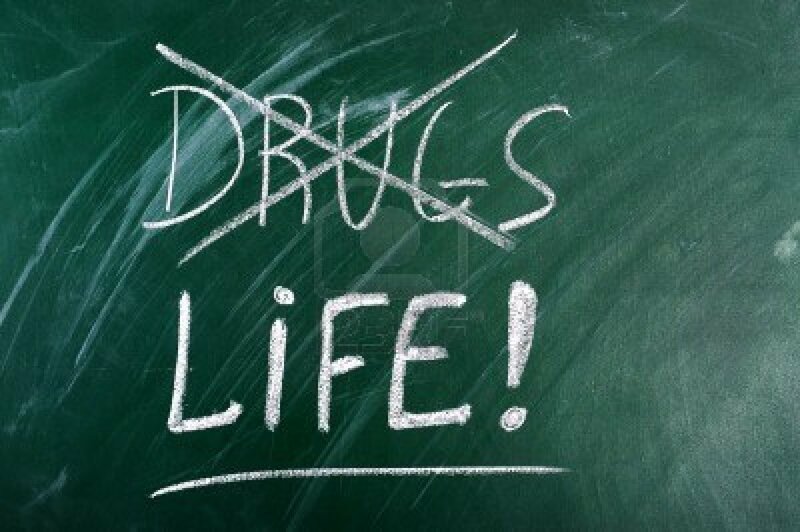 IN THE NEWS: Depressed and Anxious Patients Receive More Than Half of All Opioid Prescriptions In 2014, 1.2 million Americans ended up in the emergency room with an opioid-related side effect; in 2015, 33,000 died from an opioid-associated drug overdose. Adults with depression and anxiety receive 51 percent of all opioid prescriptions in the U.S.; 19 percent of the 38.6 million Americans diagnosed with a mental health disorder use opioids, compared to 5 percent of the general population. Women are being prescribed opioids during pregnancy and after delivery, creating drug-dependent mothers and infants; 23 percent of 1.1 million pregnant women enrolled in Medicaid filled a prescription for an opioid in 2007. If you or someone you love struggles with anxiety or depression, it would be wise to take whatever steps necessary to minimize your exposure to cell phones, portable phones, Wi-Fi routers, smart meters, wireless computers, and tablets. You may also need to address other sources of dirty electricity in your home. Note: See or pamphlet on grounding and dirty electricity or visit Keefeclinic.com. WELLNESS: B vitamins- With our deteriorating food quality, rising assaults on gut health, and a living environment that becomes more toxic by the day, it’s clear that we need this complex of brain and body nutrients more than ever. As you’ll soon see, researchers are discovering potential benefits of the family of B vitamins that are much greater than we ever imagined. 13 Signs You May Be Low in B Vitamins-Low levels of B vitamins can affect your body in many different ways because of the vitamins’ far-reaching and interrelated effects. Anyone of these common symptoms could be a result of low levels of one or more B vitamins:Inability to sleep well, Fatigue and apathy, Mental “fog,” confusion, and forgetfulness, Mood swings and irritability, Gastrointestinal symptoms, Joint or muscle discomfort, Muscle weakness, Loss of muscle mass, Numbness or tingling in fingers and toes, Frequent bruising, Headaches, Irritability, Dry, cracking skin. Because the vitamin B complex is a group of eight major B vitamins that work together, you can impact their synergy just by running low on one. Note: With Vega testing, we can determine if a B complex or a single B vitamin would be the most effective for your health. CHIROPRACTIC: CHIROPRACTIC RELEASES YOUR INBORN ABILITY TO HEAL You are a natural born healer! What? Didn’t you know that? Indeed, even before you breathed your first breath, you were designed with an amazing innate healing ability that allows your body to heal all disease! Yes, it’s true! Your body is fully equipped to heal everything from a cut on your hand to cancer in your colon and everything in between. That is, as long as there is no interference. In fact, we have all witnessed this amazing healing in action on many occasions throughout our lives. Think about the last time you cut your finger. Maybe you were distracted by your computer screen as you reached across your desk for a piece of paper and then – suddenly – felt that all too familiar intense, burning pain of a paper cut. Now, once you stop the bleeding and move past the pain, what do you do to cause that little cut to heal? You may cover it with a bandage to keep it clean but does the bandage heal the cut? No, the cut will heal with or without a bandage. It is an irreducibly complex process, a process that none of us could ever fashion on our own – truly a stamp of our Creator. 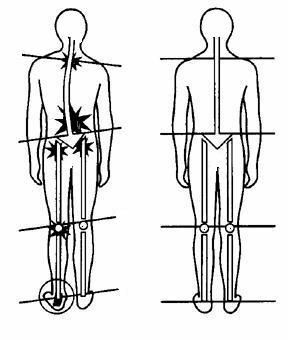 Your nervous system is the master control system of your body controlling every function and all innate healing in your body. In fact, your body’s ability to heal itself is directly related to the health of your nervous system. When your nervous system is healthy and unobstructed, your body can function and heal at 100%. However, if there is any interference in this normal flow of information from your brain to your body, healing is interrupted. 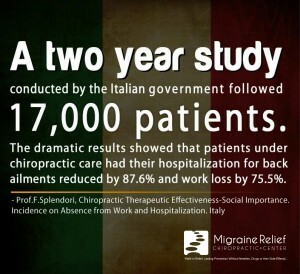 Remember-chiropractic first, drug second and surgery last. FUNNY BONE: Doctors Are Sharing Their Stupidest And Funniest Patient Stories–As I leaned in to check her eyes, my older patient got a little frisky. “You remind me of my third husband,” she said coyly. “Third husband?” I asked. “How many have you had?” “Two.”@@My patient announced she had good news … and bad. “The medicine for my earache worked,” she said. “What’s the bad news?” I asked. “It tasted awful.” Since she was feeling better, I didn’t have the heart to tell her they’re called eardrops for a reason. @@“Here,” says the nurse, handing the patient a urine specimen container. “The bathroom’s over there.” A few minutes later, the patient comes out of the bathroom. “Thanks,” he says, returning the empty container. “But there was a toilet in there, so I didn’t need this after all.”@@Guy comes into the emergency department via Ambulance with burns on his lower extremities. His shoes are charred and the bottoms of his pants are definitely burned away but his skin isn’t so bad. He had been trying to use a propane-powered weed burner in his yard (think flamethrower) and things got a little out of control. I smelled alcohol on his breath so I asked the guy if he had been drinking and he looked me directly in the eye and said, “Nooooo”. I got drunk just standing next to him. It was a once in a lifetime set up and I couldn’t help myself. As straight-faced and professionally as possible I said, “Sir…liar, liar, pants on fire”. The paramedics all turned at once and ran out of the room they were laughing so hard! The patient just stared at me. He was so drunk it went totally over his head.